Following the launch of its second-generation Ryzen Threadripper processors earlier this month, AMD quietly began to slash prices of its first-gen Ryzen Threadripper CPUs. Right now, the most affordable Threadripper (1900X) costs around $300, whereas the former flagship 16-core processor is available for $720. However, there is a catch. Platforms featuring AMD’s X399 chipset and the TR4 socket are not cheap. Besides, if demand for processors increases spontaneously, so will the prices of motherboards. Now that some of AMD’s Ryzen Threadripper 2000-series processors are available for purchase, the original Ryzen Threadripper 1000-series look less attractive for the target audience and while there is no direct competition between the two product lines right now, it is in AMD’s best interests to sell off the remaining stock of the first-gen HEDT chips as soon as possible. In a bid to speed up the process, AMD recently slashed SRPs (suggested retail prices) of its first-gen Ryzen Threadripper processors to levels significantly below those set earlier this year, though not considerably below campaign prices. As a result of the price cut, the eight-core Ryzen Threadripper 1900X will cost around $300, the twelve-core Ryzen Threadripper 1920X will be priced at circa $400, whereas the former flagship Ryzen Threadripper 1950X will be available for $799. A quick check with Amazon indicates that retail prices of the said CPUs are very close to their SRPs, or even below them. For example, the octa-core 1900X is now available for $308, whereas the 16-core 1950X can be purchased for $720. The 1900X has more memory channels and PCIe lanes than any regular Ryzen processor, so the chip makes sense for those who need a lot of DRAM bandwidth and/or plans to use multiple high-end SSDs and/or graphics cards. 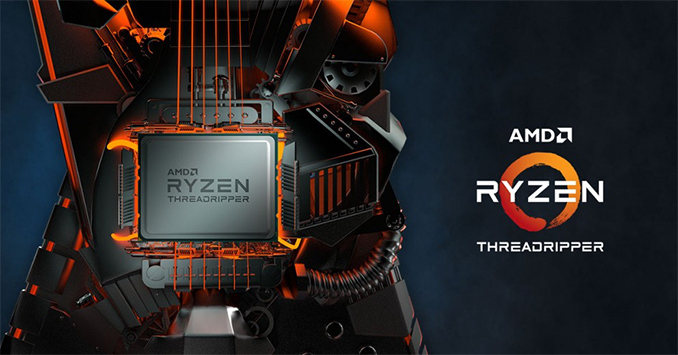 Evidently, Threadrippers need an AMD X399-based motherboard with the TR4 socket, which are usually more expensive than platforms for AMD’s mainstream Ryzen CPUs. MSI’s X399 SLI Plus — one of the more affordable TR4 mainboards — is currently available for $310, which is significantly higher than enthusiast-class motherboards for regular Ryzen processors (priced at $200 – $270). Furthermore, if demand for such platforms skyrockets because of affordable CPUs, retailers will hike their prices. It is unknown how many Ryzen Threadripper 1000-series CPUs are still in stocks of retailers and AMD as well as how long these stocks will last. AMD’s Ryzen Threadripper 2950X is set to be released on August 31, whereas the model 2920X is due in October. Obviously, AMD is inclined to get rid of the first-gen Ryzen Threadripper chips as soon as possible so to avoid any internal competition. I am running LGA 2011+3930K. Has served me well for the past 7 years.